Experience teaches that skepticism is the most appropriate attitude, so let’s cultivate it. And now for some good news: there’s a possibility that we’ll at last have significantly cleaner water in metropolitan Rio de Janeiro, in just a few years. Before taking this further, it’s worth posing the age-old question: what ever happened to the US$1 billion meant to clean up Guanabara Bay in the 1990s? Whose pockets did it end up in? He says this is one of the reasons why we ended up with treatment stations and no sewage collection system. The funds weren’t enough; the dream was huge. Usually, sewage collection pipes account for 70% of the cost of a sanitation system. Needed investment just wasn’t there. 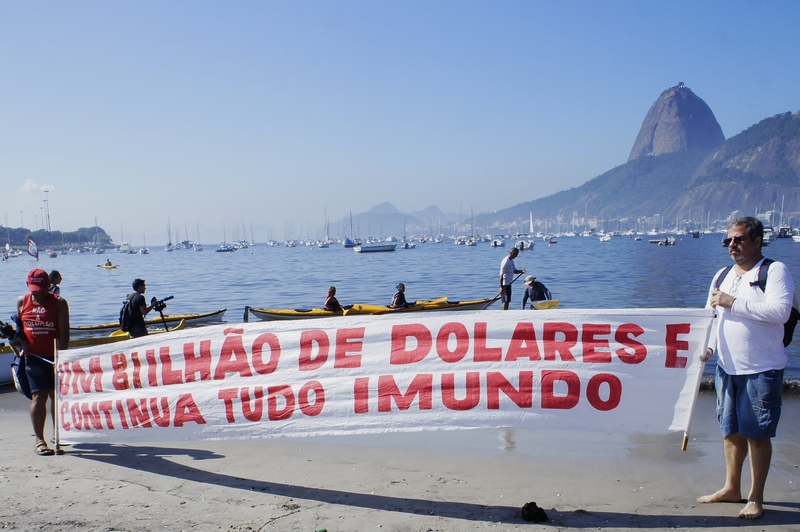 Neither Cedae, Rio state’s water and sewage company, nor the state itself, was prepared to take on debt for the task. The sewage rate charged to consumers wouldn’t pay the bill, either. For decades, the idea was to close the gap between our reality and that of more advanced metropolises. Once flushed, the sewage would be collected, treated and returned to the environment. Officials planned to install an ideal collection and treatment system, which would carry sewage away in pipes separate from surface runoff pipes. The ideal system — which in many first world cities doesn’t exist — currently demands, according to Firmino, about R$1.800 (US$ 517 at today’s exchange rate) per inhabitant. Multiply that by the 12 million metropolitan population and you rack up R$ 21,6 billion, or about US$ 10 billion, as he calculates it. If the problem is so thorny, why did we promise the International Olympic Committee, and ourselves, in 2009, that we’d clean up the Bay by 80% for 2016? “The 80% goal certainly arose from the hopes of the moment and the expectation that funds would be available,” said Firmino. If the new Metropolitan Integration Chamber (to be formally set up in 2016), works according to Rio’s state government’s plans, we might really be at the start of such a new phase. We shall see. Its success depends on many autonomous variables. For example, how will 21 city halls be managed and organized? How to ensure that the Chamber will be financially sustainable and politically strong? On the other hand, it’s clear that a metropolitan approach is the only way to deal with many of the region’s issues, particularly sanitation. The metropolitan outlook is new here– and the 1988 Constitution didn’t provide for it. The metropolitan plan for the bay, according to Firmino, is to intercept combined sewer pipes, collecting most of what runs in the surface runoff system, which now carries about 70% of the state’s sewage. This usually takes sewage away from homes and ends up coursing along with surface runoff, into nearby water bodies. With the intercepts, the sewage will be taken to existing treatment stations at the edge of the bay, currently operating below capacity. Such a system can be found in many cities. Ipanema and Copacabana have separate runoff and sewage systems, but a large belt of pipes under beachfront sidewalks intercepts excess, sending it all (without treatment) into the submarine outfall near the Cagarras Islands. “Imagine, for example, building a large pipe under the Linha Vermelha highway,” Firmino suggested. Trash would be continuously separated by grates and all the sewage which now ends up in the Bay would be directed to the Alegria treatment station. According to him, with enough investment and interception public works, we’d see an enormous difference in the Bay in only three years. Who’ll do the job? There would be private sector bidding for concessions — public-private-partnerships — to build the pipes, their connections to treatment stations and to operate these for 30 years. These companies, with assured sewage rate income, would have the wherewithal to take on private sector loans. Firmino says that government participation would also be needed, to move toward the goal of separate systems for runoff and sewage. The solution is not ideal. With heavy rain, the system would be overloaded and we’d have sewage running into the Bay. Firmino believes that Rio sees relatively few days of heavy rain and says that “dry weather flow treatment” as the solution is called, would be a step forward on the metropolitan region’s long path toward acceptable sanitation, with separate systems and 100% treatment. Gradually, the various cities would contribute with connections to the interception system. Cedae would focus on the region’s water supply, a long-term area of strength for which the company recently took on a R$ 3.2 billion loan. Sewage is clearly not a company investment priority. All Rio — not only favelas — suffers from leaky malodorous sewage, a product of inadequate maintenance. With private sector participation in sewage works, we might get more transparency on goals and schedules. In the medium term, says Firmino, the Chamber will focus on building separate systems in both formal and informal areas of the metropolis that have large concentrations of residents, such as the Alemão and Maré favela complexes. He expects the state legislature to pass a law creating the metropolitan entity, and to have a regional sanitation model by the end of 2015. The model will include year-to-year goals for the Bay cleanup. It also will tackle an analysis of the recently announced state government proposals, as well as monitoring and followup. 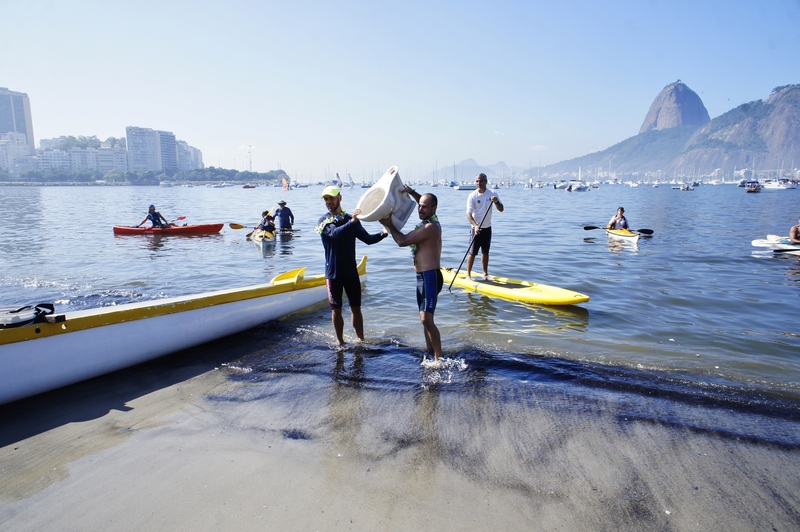 The Olympic Games are no longer the main incentive for sanitation; now it’s all about our health and the growing cost of the Bay’s unrealized potential. Yet there still is haste. We’ll see how events unfold in coming months, as the first quarter of 2016 is when Firmino expects to see the first private bids for sections of the metropolitan area’s sewage needs. Is the time-frame realistic? Fingers crossed for down-to-earthness. 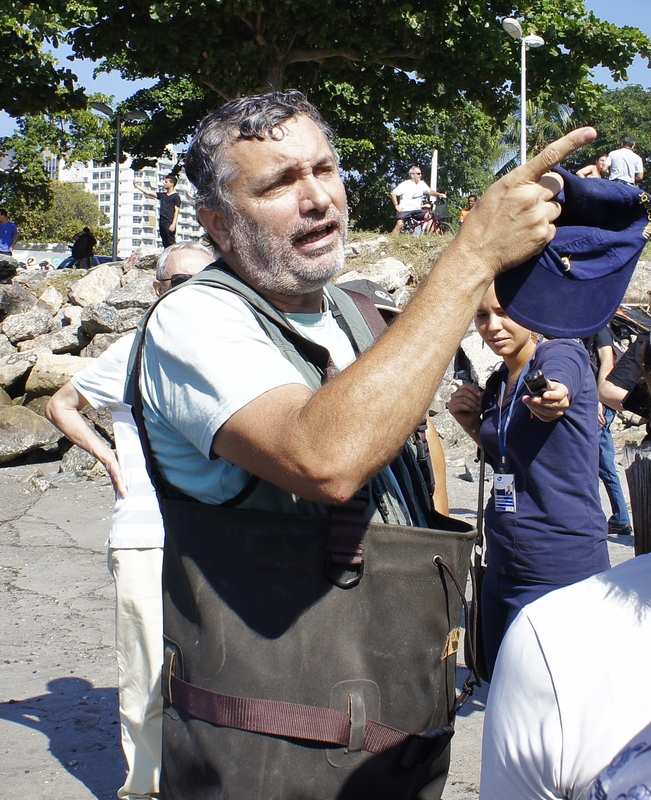 This entry was posted in Brazil, Transformation of Rio de Janeiro / Transformação do Rio de Janeiro and tagged Câmara Metropolitana de Integração Governamental, CEDAE, Guanabara Bay pollution, Instituto Baía de Guanabara, Luiz Firmino Martins Pereira, Mário Moscatelli, Morar Carioca, Rio de Janeiro sanitation. Bookmark the permalink.